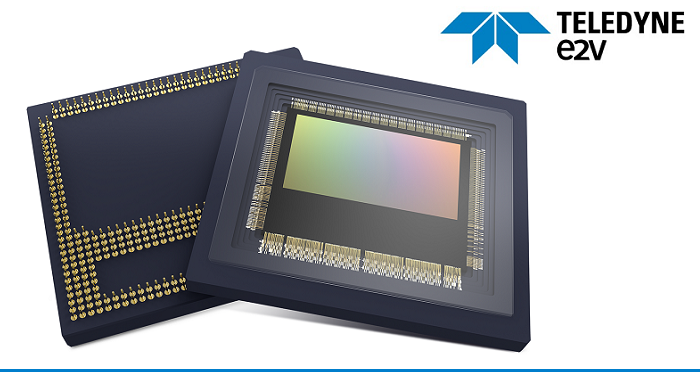 Teledyne e2v has expanded its Lince family of image sensors with the addition of a new 11Megapixel detector, the Lince11M. It is a CMOS image sensor designed for applications that require 4K resolution at very high shutter speed. This standard sensor uniquely combines 4K resolution at 710 fps in APS-C format. The Lince11M can be advantageously used for in-line inspection to increase manufacturing throughput, or with strobed lighting for multispectral imaging or multi field (bright field, dark field, backlight) imaging, and serve as an alternative to line scan sensors to improve defect classification where uniform image sharpness across all directions is critical. The 11M takes advantage of the APS-C format and is compatible with standard optics. Its 4K resolution allows users to reduce the number of cameras, helping to lower the total cost of ownership. It serves as the higher resolution member to the Lince family of high-speed CMOS image sensors offering resolutions of 1.3MP, 5MP and 6MP.